Hot air balloons come with a fascinating history. To learn more, we’re sharing the 5 most notorious balloon flights of all time. History can often be defined by a few major events. Since the invention of the hot air balloon in ancient Chinese history, it’s gone through some major changes to become one of the most recognizable leisure transports in the world. Now we all take the hot air balloon for granted, even those who consider it a hobby. That’s why we’re looking back at 5 of the most famous balloon flights in history. After some previous experiments involving a sheep, a duck, and a rooster (but no punchline), the first manned balloon flight took place on 19th October 1783. This first flight was tethered, so it was a stationary adventure. But the true watershed moment came with the first untethered flight with human passengers. This happened on 21st November 1783. And through a decree of the French king, it was almost a few condemned criminals that had the honor! Luckily, some more historically-minded heads prevailed. Scientist Jean-François Pilâtre de Rozier and balloon pioneer François Laurent d’Arlandes argued their case and eventually were given the honor to carry out a flight for the history books. They took off from the center of Paris and flew to the suburbs, making a journey of around twenty-five minutes. The event was witnessed by one of the Founding Fathers of the USA and fellow scientist, Benjamin Franklin. He described the lift off as “most majestic” and described how the adventurers lowered their hats in salute to the watching spectators. Contemporary reports claim that over 400,000 spectators watched the launch. Many had even paid toward the venture! Unfortunately, de Rozier would lose his life in another balloon endeavor. He attempted to cross the English Channel in 1785. His hydrogen and hot air balloon crashed in the attempt. The first successful crossing had actually taken place earlier that year. Sadly, innovation can’t come without cost. The world’s very first aviation disaster occurred in May of 1785. There are surprisingly few reports of the incident – most information comes from just two contemporary accounts. But it’s known the crash happened in the town of Tullamore in Ireland. Although the Tullamore area didn’t have its own newspapers at the time, newspapers from other areas reported that more than 100 houses were destroyed in the fires that followed. It appears the accident was caused by a collision between the balloon and a local chimney. The balloon caught fire and plunged into the street below, setting the roofs of thatched houses alight. The town of Tullamore still remembers the incident with its emblem, a phoenix, and the yearly Phoenix Festival. The safety of hot air balloons has come on a long way since then. Many lessons from these early incidents have had an impact on balloon designs for centuries to come. The Hindenburg disaster would become a much more famous example of a balloon disaster. But the Tullamore raised humanitarian questions about the safety of hot air balloons for the first time in their history. In 1836, Charles Green departed Vauxhall Gardens in the Great Balloon of Nassau. The aim was to reach Weilburg in Nassau. Five hundred miles and 18 hours later they succeeded. The journey set new standards for what balloon flights were capable of. Green’s flight would make the potential of the hot air balloon clear for generations to come. Green’s balloon was known as the Royal Vauxhall, and later the Nassau. The balloon was famous in its day. Its striped design inspired many artists! The voyage was so incredible at the time that it was even immortalized in a painting, A Consultation prior to the Aerial Voyage to Weilburgh. Virgin Balloon Flights later paid homage to this game-changer by flying Green’s great-great nephew across the Cotswolds. The world’s first solo hot air balloon trip around the world wouldn’t happen until 2002. In fact, it was the first nonstop circumnavigation of the world in any kind of aircraft. 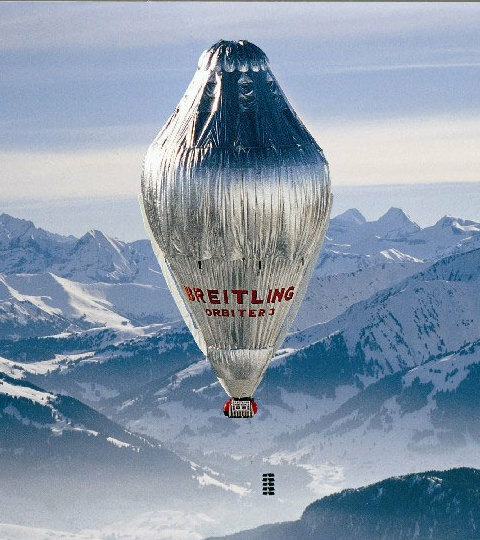 It wasn’t the first balloon around the world, however: that was Bertrand Piccard and Brian Jones in 1999. Steve Fossett set off from Northam, Western Australia on 19th June, returning 3rd July, and so spent just over thirteen days airborne. 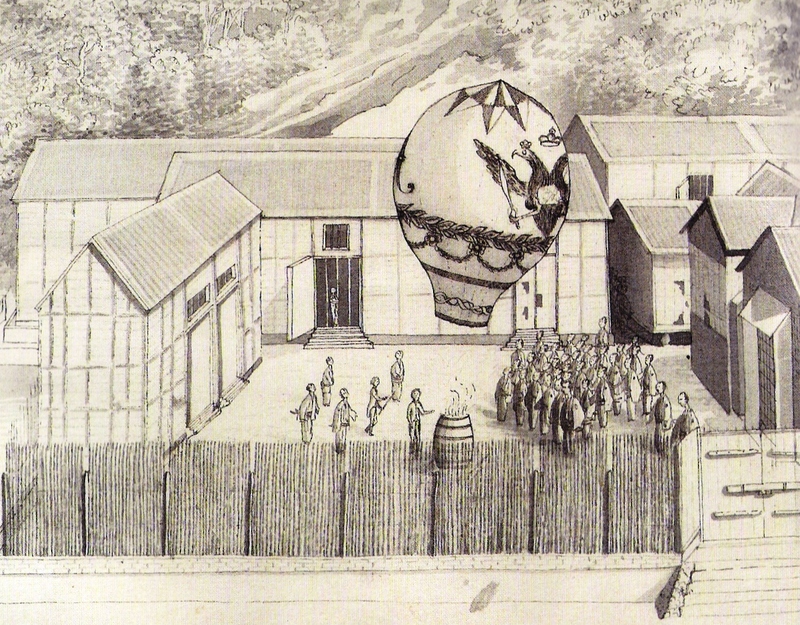 Fossett’s balloon carried a number of advanced features that showed just how far the technology has come. The Comstock Autopilot kept him at a constant altitude thanks to computer-controlled burners. But in other respects, things haven’t changed much. Fossett’s basket was about the size of a closet, and he was only able to sleep in naps lasting around 45 minutes, achieving around 4 hours of sleep a day. These grueling conditions were made even worse by temperatures that were frequently below zero. Even so, Fossett needed to exit the gondola often to check his burners and change fuel. Fossett only had military-style ready-to-eat meals for sustenance. Fossett’s story also shows that none of these momentous events come easily. He made the attempt five times before his final successful voyage. But Fossett is a balloon pioneer. He was also the first to fly across the Pacific solo, and the first to cross Africa, Europe, and the South Atlantic and Indian Oceans. Richard Branson and the Virgin company have helped bring the hot air balloon to popular culture. It’s not surprising they should make an entry on this list! In tandem with rock act The Girls, they set a Guinness record for the highest concert ever in a hot air balloon, along with the highest recorded song. They performed ‘What I Did Today’ at an altitude of 1848m for an audience of just two! The venture was supported by magazine publication Future Music, and also featured guests such as Andrew Vowles of Massive Attack fame. We can’t know where the future of the balloon flights will take us. But we do know that the march of progress will help flight enthusiasts smash further records and develop new and exciting balloon technologies. Be sure to follow our blog for more balloon facts, both past and present!